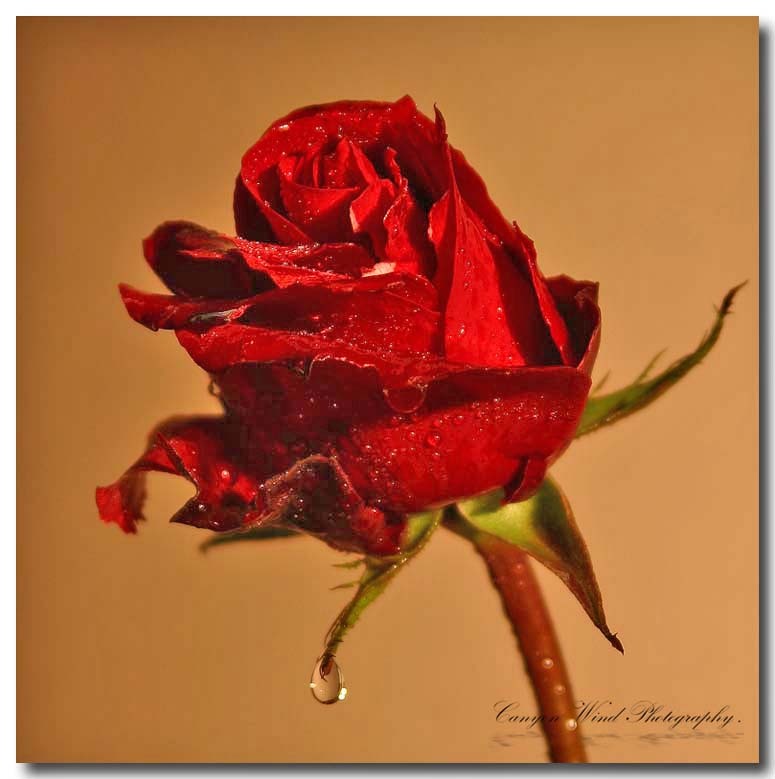 Photo "Tears of a Rose "." Tears of a Rose ". Sniffle ! Well everyone says that the red rose is the most beautiful of all the roses. Well , just knowing that we must live up to that makes us sad . We have so many other sisters out there that are just as beautiful , if not more beautiful ! But the one thing that we do know is that we stand for LOVE ! And that makes us VERY special ! Kisses to all ,and remember your loved ones, with a red rose whenever you can! Wonderful image. Perfect capture of the drop just about to fall. Congrats! Thank you so much Loreen . Have a perfect Easter ! This is beautiful. I love the tear. A big hug. Happy Easter and a big snuggle ! Thank you Andrew my friend ! Thank you Gabi dear ! Hope you and your family have a great Easter. Squares are frames ! Ugly is in the eye of the beholder!Flower freshly picked from the rain ! New bloom today ! So what else is wrong ? Good deffinition and nice drop of water, ... looks not just beautiful , but also fresh! Thank you Nada ! Have a perfect Easter my dear.